Found 36 blog entries for April 2018. Monday, April 30th, 2018 at 9:49am. Home purchasers seeking to stand out in competitive housing markets should consider a mortgage professional based in the area. Don’t discount the benefits of shopping local—even for a mortgage professional. 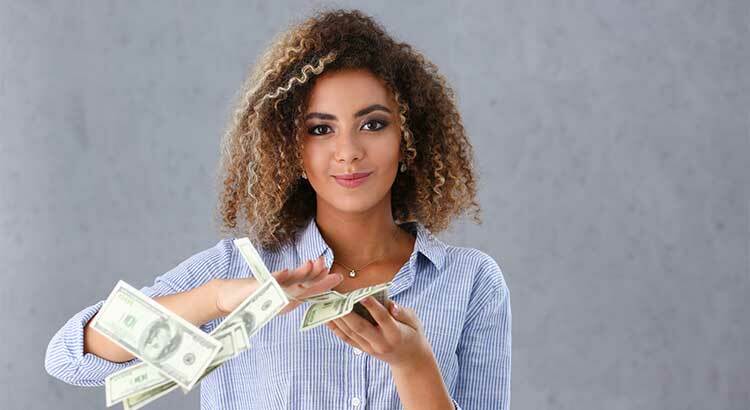 In tight housing markets where bidding wars are common, buyers who need financing can strengthen their offers by working with a locally based mortgage broker or loan officer, real-estate agents and lenders say. “Getting a local person helps you over certain humps—it just really does,” said Laura Hodgson, a real-estate agent with The Cascade Team , who works in The Greater Seattle Area, and keeps a list of trusted mortgage pros on her website HERE. Thursday, April 26th, 2018 at 9:34am. 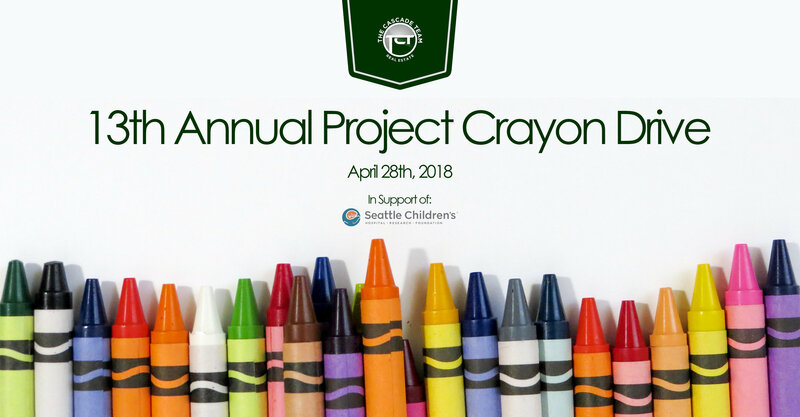 The 2018 Project Crayon Drive Collection Weekend Is Here! Thursday, April 26th, 2018 at 8:31am. Happy Clients Are The Pillar Of Our Success! Friday, April 20th, 2018 at 5:48pm. The decision to go with Shane and Anne for the sale of our beloved home of 14 years is one I'll never regret. As a team they work seamlessly to ensure all details are addressed and that the utmost care is taken with each client. Though I know they have others at any given time, Shane and Anne made me feel like I was their only one. And I might add I didn't always feel that way with past real estate transactions. Welcome To The Cascade Team Sheri Denlinger! Thursday, April 19th, 2018 at 3:52pm. Sheri is a licensed Real Estate Broker in the State of Washington. She has been a resident of Spokane's South Hill for 50+ years, she is a registered Tax Professional, Bookkeeper & Notary Public. She has been married for 40+years to her husband Wayne, has 6 children and 6 grandchildren. She was a stay-at-home mom and home-schooled her children for 25 years. Sheri and her husband have purchased and remodeled 6 homes over the years, so construction and remodeling is a regular part of life. Her favorite vacation spot is the Oregon Coast and she enjoys nature walks, hikes and exploring. Sheri will be a wonderful addition to The Cascade Team and we look forward to seeing her success! Welcome To The Cascade Team Martin Bademian! Thursday, April 19th, 2018 at 9:46am. Having owned five homes (four in Spokane and one 10 acre vacant lot) and having been involved in a great number of home purchase transactions as a mortgage loan consultant (9 years) I am intimately and intuitively familiar with Spokane. I have lived in North Spokane, several locations in The Spokane Valley, Downtown and several locations in The South Hill of Spokane. From 1978 to now I have lived in Spokane, living other places a few short years but always coming back to Spokane. This is what keeps bringing me back to Spokane: The people, places, sun, seasons, family and great familiarity. The Answer To the Question: Why Are Area Home Prices So High? Thursday, April 19th, 2018 at 9:37am. A basic beginner's explanation for our soaring home prices in King County: There are a lot more people searching for homes, and far fewer homes available for them to buy. 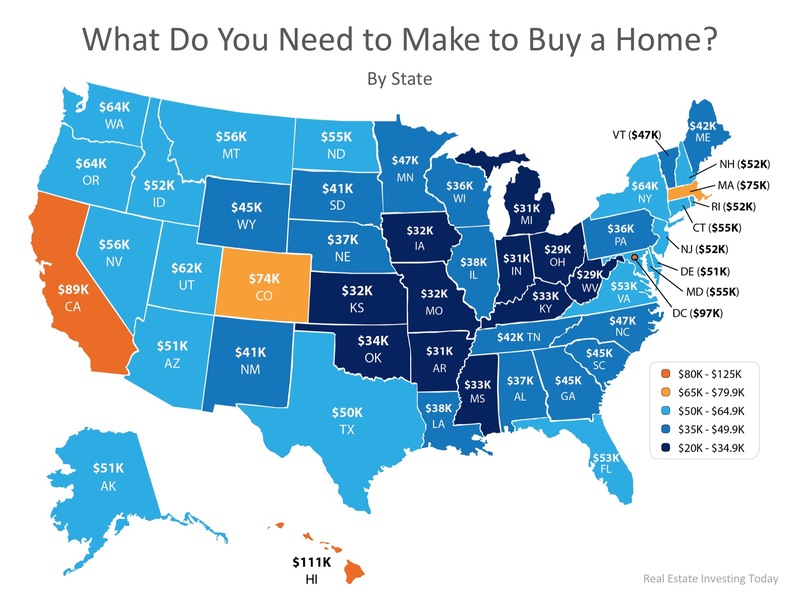 There just aren’t enough homes for sale. The number of homes on the market is at a low point for records that date back to 2000, despite the big increase in population over that span. King County had only about 2,000 homes (single-family and condo) for sale last month. During the average month of March over the last two decades, the region had more than 7,800 homes for sale — nearly four times as many. Wednesday, April 18th, 2018 at 2:28pm. Wednesday, April 18th, 2018 at 9:10am. Welcome To The Cascade Team Mike Kessler! Tuesday, April 17th, 2018 at 2:02pm. Mike is another transplant from California and comes to us with many years of real estate experience. He and his family moved to Arizona and he is still licensed in CA and does quite a bit of referral business over there as well. Mike loves helping people and always works hard to put his customers first. Mike will be a wonderful addition to The Cascade Team and we look forward to seeing his success!